A recreational runner's approach to the marathon distance. This was a short week. Just 4 days of running. That's in the schedule since I am running 4 days one week, then 5 days the next, 6 the following and then repeat the cycle. But, mileage wise, it was shorter than scheduled. Ok, so I wimped out big time. It was 42° and raining. So I opted not to do my long run. 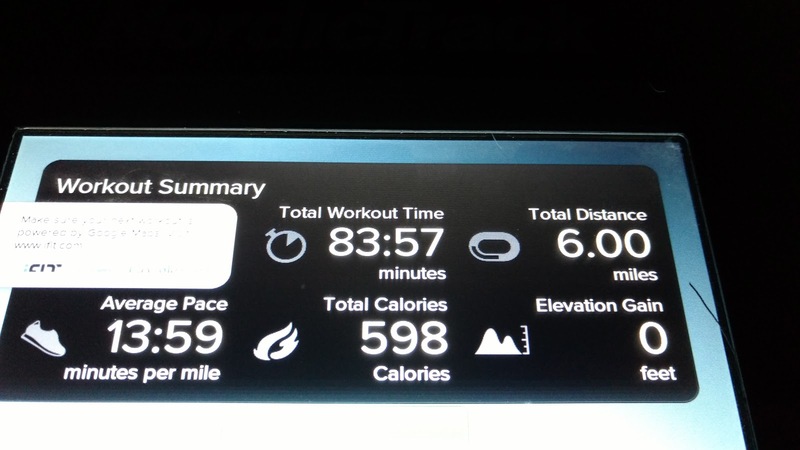 And I should have done my long run on the treadmill, but I just couldn't tolerate that either, so I did a 6 miler at long run pace on the treadmill. Later, I went on Amazon.com and ordered 3 rain jackets for me to try out. 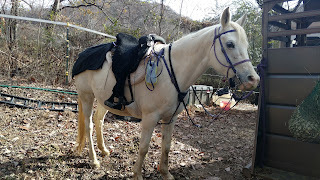 I might wimp out again, but maybe I can find a jacket to help me not. This was supposed to be Tempo Tuesday, but I turned it into an easy run on the treadmill due to time constraints and more weather woes. 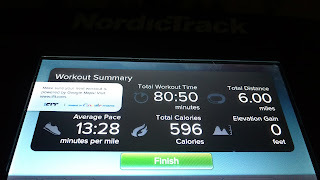 I did this one a little different by running most of the mile at 13:03/mi and then walking the balance of the mile to get the average to 13:59. 13:03/mi is about as slow as I feel comfortable running on the treadmill so to get my pace for an easy run, I have to walk. My legs and hips felt a bit more fatigued than usual after this run, but nothing bad, just used. Monday night, I had a charley horse in my left calf in the middle of the night. Then Tuesday night, I had a charley horse in my right calf. So I was a little concerned about doing a tempo run. I went to River Park and ran south to get my miles in. It was about 35° so I wore my winter tights, UA half zip, UA full zip jacket, glove liners, knit gloves, and a brand new UA pony tail skull cap I got on a Cyber Monday 50% off sale. This skull cap comes down further over my ears, supposedly has a warm liner and has a hole for my hair to go through. I started my run with my jacket hood up. 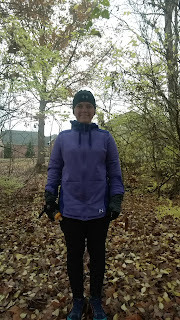 By mile 2, my knit gloves were off and my jacket hood down. I turned around just after mile 3 and realized the wind had been at my back. Brrrr. So I ran back with the wind in my face. My phone decided to stop sending music to my bluetooth headset around mile 4. So I fiddled with my phone to turn it all the way off and back on and that seemed to fix the audio issue for the moment. My cooldown on this run ended up being too long as my short cut back to where I park was covered in water. I usually just walk my cool downs, but had to jog some to keep warm in the wind. When I transitioned from a run to a walk, both my calves cramped a little, but let up pretty quickly. They felt a little sore for the rest of the day, but nothing too bad. Overall a good run and finally back up to 6 milers for my tempo runs. 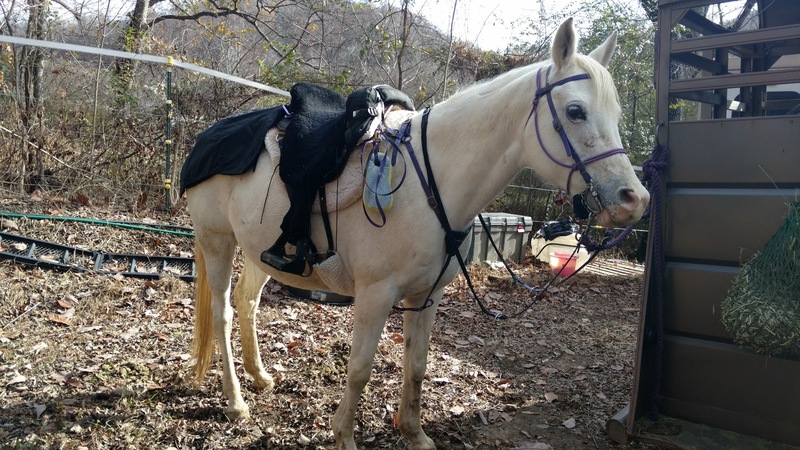 My horse Sasha after a ride this week. Thursdays are usually Hill days, but I decided to skip my hill workout this week in favor of incorporating that into my next long run. 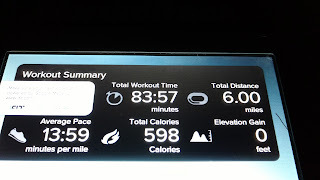 So I just did an easy 6 miles on the treadmill. 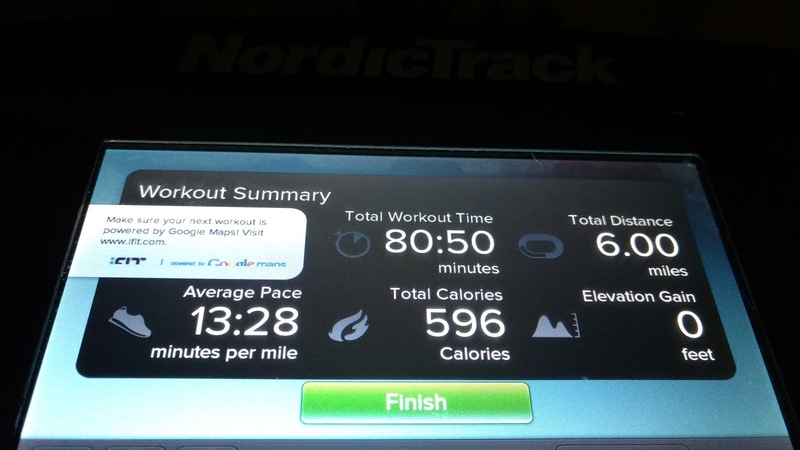 This time I went back to running shorter intervals and walking more often. I have a 5 day run week coming up and back to my long run. I have a new rain jacket to try out so if it rains, I'm ready. But not if it pours...If I won't race in it, I won't train in it!